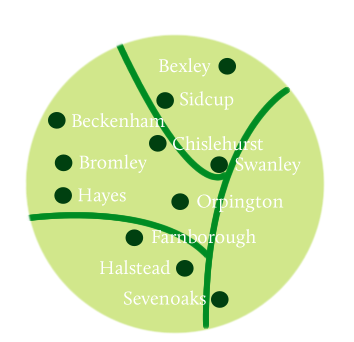 From our base in Orpington, we operate throughout Kent and the outskirts of London, including Sevenoaks, offering homeowners from across the entire South East with the highest quality new central heating systems, bathroom installations and design services and new shower installations. Below, you can see a few testimonials from just some of our satisfied Sevenoaks customers. “A couple of weeks ago you installed a new bathroom at our home and I kept meaning to write and say thanks but just hadn’t got round to it; you did a fantastic job, we’re so happy with how it looks now and the little changes you made to the layout really have made it feel so much bigger. “Thanks again for your hard work on my new wet room; just had my first shower in three years without cracking my elbow off the shower door!